Furnace repair, service and replacement. Air Conditioning repair, service and replacement. Call Ron Murphy Heating and Air Conditioning first for expert repair, installation and servicing of your Residential HVAC. Honest, professional and knowledgeable service at a fair prices and no high pressure sales. We’re a family owned company and proud to offer the quality Lennox and Carrier components for your four season comfort. Call us to find out which system is right for your home! Ron Murphy heating and air conditioning will keep you safe and save you money in maintaining or replacing your furnace and air conditioning systems. Efficiency is key, and we will point out your best choices whether it is a seasonal tune-up, a minor repair or a system upgrade of your furnace or air conditioner. Ron Murphy has been serving the Columbus and central Ohio area for over 48 years. Regular maintenance maximizes the life of your HVAC system. Check us out on the BBB website and you’ll find that your Columbus, OH area neighbors are extremely satisfied with our pricing, Heating and Air Conditioning product knowledge, customer service and follow through. Trust your HVAC needs to Ron Murphy and all you will need to do is change your air filter. We can take care of the rest. A well serviced HVAC system can often save you money to help pay for itself. 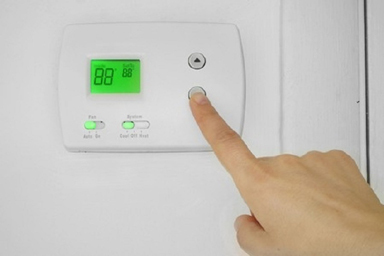 We will help you pick out the appropriate sized heating and cooling system. So your HVAC system isn’t working too hard or inefficiently large for your home. BBB Favorite , Ron Murphy Heating and Air Conditioning services has served Columbus for over 45 years. Furnace and air conditioning repair and replacement to families and businesses throughout Columbus, Ohio.Making your home more comfortable, every day. 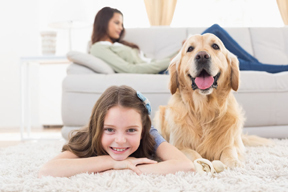 Ron Murphy Heating & Air Conditioning based in Columbus, Ohio installs, services, repairs and retrofits air conditioning installations of every brand and variety. In our initial meeting, a partner will come to your home to ask questions about your needs and goals, and provide a free estimate. Service is our style. Our top priority. But most importantly, we make sure to select the right heating and air conditioning services and products for your home, based on our experience. Building success, one customer at a time. At Ron Murphy Heating & Air Conditioning, we have served residential and commercial customers for over 45 years. Ron Murphy provides free in-home estimates (or by phone or online if you prefer) for central heating, cooling and air conditioning repairs and installations throughout Columbus and surrounding communities. 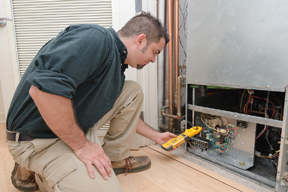 Furnace and air conditioning installs, repairs and replacements. Heating and Cooling usually accounts for nearly half of a homes utility costs. Let Ron Murphy Heating and Air Conditioning show you how to save money with an efficient system. 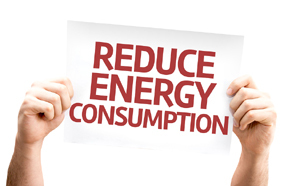 Efficiency helps you keep your family comfortable and save money. Safety is also a concern. An old furnace could be a potential hazard. Call Ron Murphy for a free review of your heating and air conditioning system. Whatever the season we offer specials on heating or cooling maintenance calls. Ron Murphy also has finance plans for every budget. Call today at 614/443-8729 or click the contact button and ask us to call you. Ron MUrphy Serving Columbus, OH Area For Over 45 Years! The best guarantee is knowing that your heating and air conditioning specialist has been around and will be here in the future. Ron Murphy Heating and AIr Conditioning have served the Columbus market with repair and replacement services for over 45 years. So when you need us, we are ready to serve you. We have been using Ron’s company for over 20 years. Thanks for great service. Our heating system when out on a Friday afternoon, with company in town. Ron had the unit repaired the same night. Thanks Ron! We have moved twice and always use Ron’s services. His knowledge of our system is second to none, and he expalins each step and why the cost. I would like to take this opportunity to thank Ron Murphy ‘s Central Air Conditioning Services for their prompt service to our air conditioning unit. I am also very pleased with their workmanship. Looking forward to a great relationship.